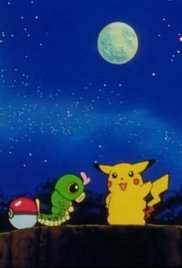 Ash catches his very first Pokemon, a Caterpie. 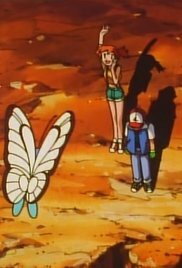 However, Misty has a problem with bug Pokemon and rejects Caterpie's presence. 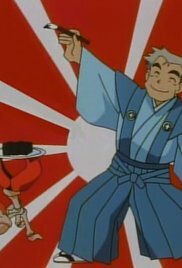 While still traveling through the Viridian Forest, Ash and Misty find a Pokemon trainer named Samurai, who has been challenging all of the trainers from Pallet Town. 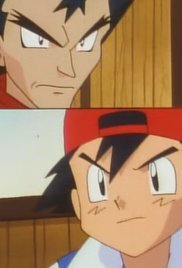 Ash challenges Brock, the Pewter City gym leader. 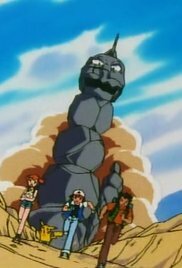 With Brock as their new traveling companion, Ash, Misty, and Pikachu head for Mount Moon, where they discover a group of Clefairy and the legendary Moon Stone. 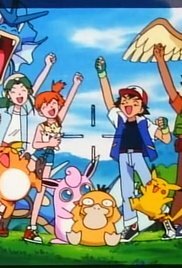 The gang head for Cerulean City. 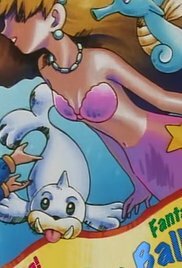 But Misty mysteriously disapproves. 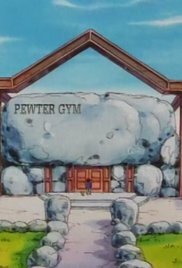 When they arrive, they find out that the gym is run by Misty's sisters. 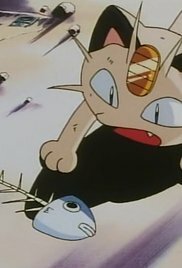 With two badges, Ash begins to get cocky. 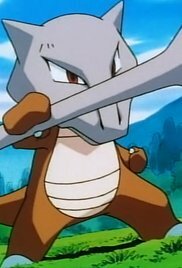 He challenges A.J., a trainer that no one has been able to beat, because of his Sandshrew. 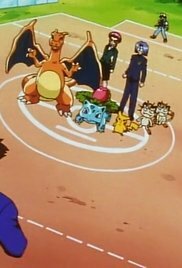 The gang come across a Pokemon school, where the kids learn how to become trainers and get into the Pokemon League without badges. 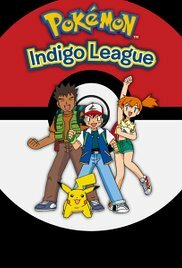 The gang find the lighthouse of the Pokemon researcher, Bill, who is trying to solves the mystery of the mysterious Dragonite. The gang finally make it to Vermillion City!! 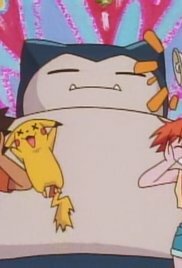 But the gym leader, Lieutenant Surge, is big and brutal with his Raichu. 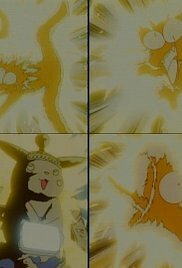 Will Pikachu be able to defeat his evolved form? 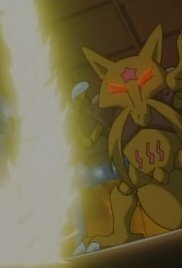 The Saint Anne has capsized and sunk with Ash, the gang, and Team Rocket trapped inside. 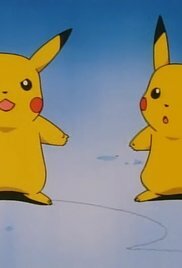 Now, both sides must put aside their differences in order to escape. 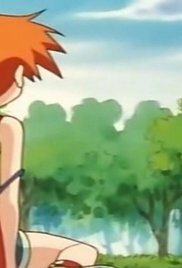 The trainers, the Pokemon, and Team Rocket find themselves stranded on a mysterious island that is populated by giant Pokemon. 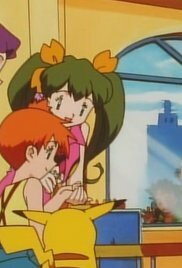 The gang make it to Saffron City and challenge the psychic gym leader, Sabrina. 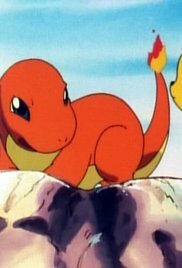 However, there is more than just a trainer badge at stake: the gangs' freedom. 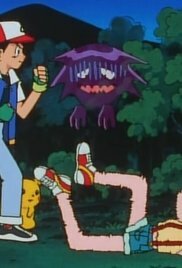 The gang find out that in order to defeat Sabrina's psychic Pokemon, they need a ghost Pokemon. 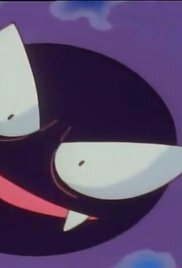 They travel to Lavender Town. 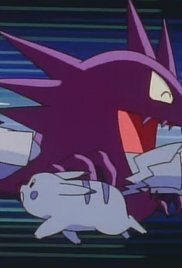 Haunter willingly travels back to Saffron City with Ash and the gang to help them against Sabrina and free her from her psychic prison. 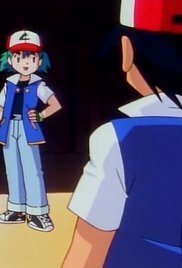 Ash challenges Erika, the Celadon City gym leader. 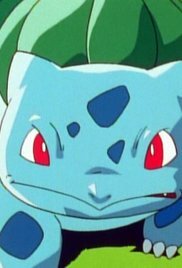 All the children are missing and the pokemon are all weak. 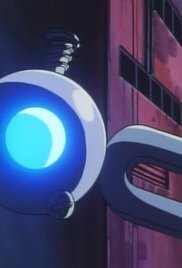 Ash and friends need to find the mysterious sleep waves and where they are coming from in order to find the lost children. 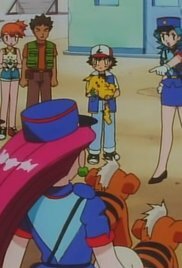 While moving on his journey, Ash feels a need to catch a new PokÃ©mon. 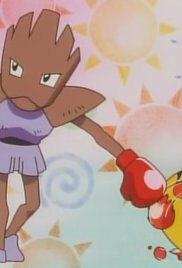 But while trying to catch Hitmonchan they meet a girl named Rebecca who asks for their help to get her father back. 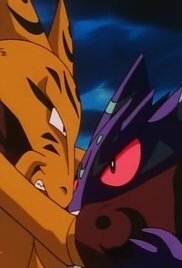 To help, Ash uses his Primeape against her father in a fighting Pokemon tournament. Will he win? 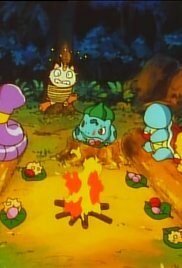 The gang enter the Safari Zone and find a Pokemon ranch, run by Lara, who's planning to enter a yearly Pokemon race, with her Ponyta. 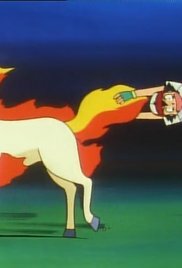 But when Lara gets injured, Ash decides to ride Ponyta instead. 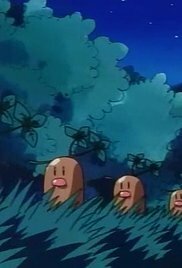 The group enters into the Safari Zone, but they still are not in far enough to catch the PokÃ©mon there. 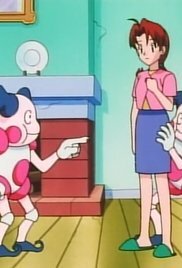 They are brought in by a Jenny who is the Safari Zone ranger. They see poachers on the map in the cabin and ask if they can come along with Jenny. 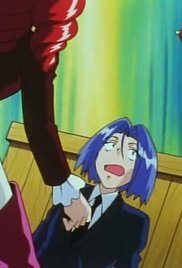 She lets them and they go to find it is Team Rocket trying to get the Kangaskhan. 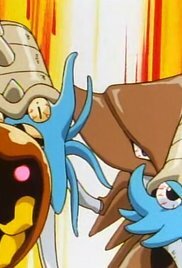 They make the catch, but are stopped by a kid who protects the Kangaskhan. After this, two people land in a helicopter, who are searching for their son Tommy. 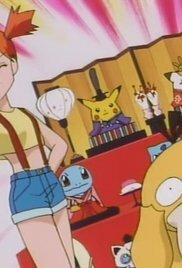 They show Jenny the picture and she identifies him as the same kid who lives with the Kangaskhan. They go and find him, but he doesn't remember his real parents until his father clubs him on the head. 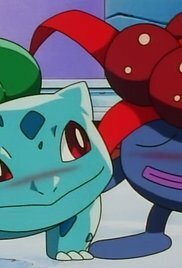 Once he remembers, he still wants to stay with the Kangaskhan and he runs off. 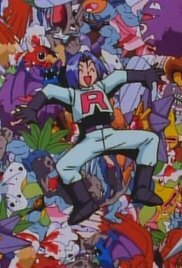 Team Rocket is then trying a new trick. 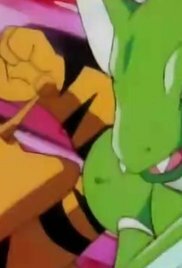 They are in a fake Kangaskhan and they pretend that it is injured. 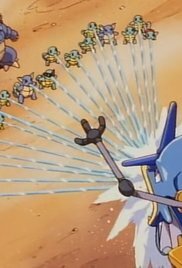 The others come to help and then they come out to shoot tranquilizer at the other Kangaskhan. They are defeated by the ... 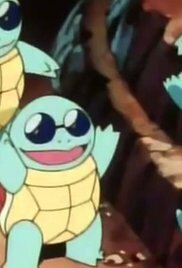 Written by Douglas Taylor, Jr.
Ash and the gang come to a village where there is no food, because the river is dry and plants can't grow. 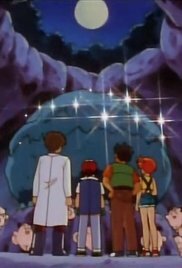 They decide to investigate the problem and discover that the water is being blocked by a sleeping Snorlax. 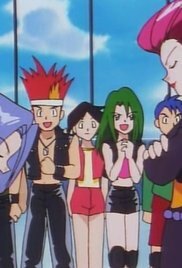 The gang arrive in a place called Dark City to find that two rival gyms have been terrorizing the place with their feud. 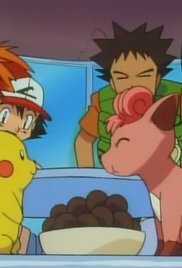 Ash and friends get caught up in a PokÃ©mon Fossil rush. 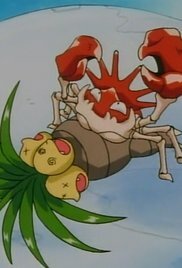 During the rush, extinct PokÃ©mon get discovered as still alive and a new PokÃ©mon is discovered in the form of an egg. 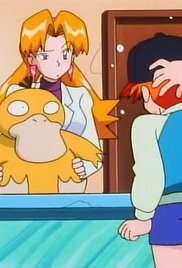 When Misty's PokÃ©Balls are stolen by Farfetch'd, Ash and the gang investigate to try to find the thief and get all the stolen things back. 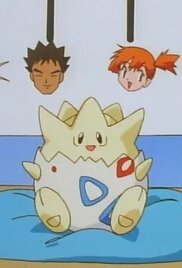 The mysterious egg finally hatches to reveal an unknown Pokemon, named Togepi. 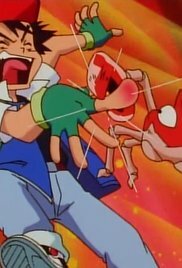 Now the gang begins to fight over who gets to be it's trainer. 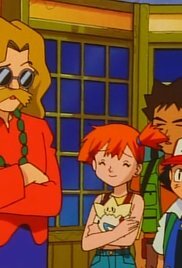 Ash and Brock allow Misty to use their PokÃ©mon when she has to compete against Jessie at the Queen of the Princess Festival. 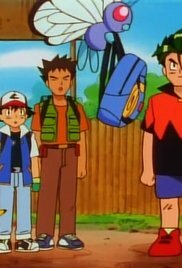 Ash and his friends arrive at a small school on Kids Day. 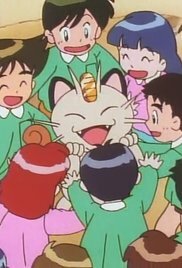 One of the children believes Meowth is the PokÃ©mon who had once saved him from a Beedrill. 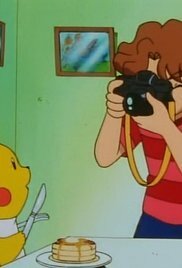 The gang meet a Pokemon photographer, named Todd, who wants to get a photo of Pikachu. 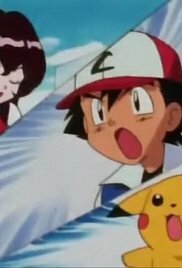 Ash takes the Pokemon League Admissions Exam in order to prove that his skills are improving. 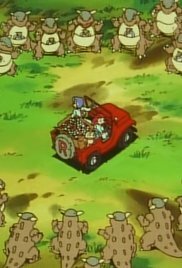 Ash and the gang discover that a new breeding centre is a cover for a diabolical scheme by Team Rocket's new members, Butch and Cassidy. 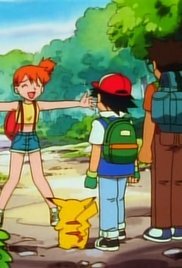 Ash, Misty, and Brock meet Gary on their way to Cinnabar Island. 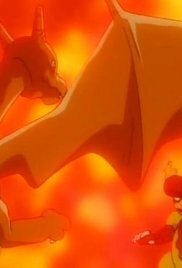 Ash has a rematch against Blaine's Magmar with Charizard. 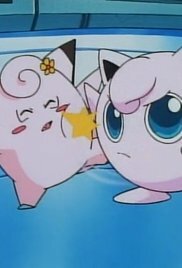 A mysterious space ship full of Clefairy lands near the city and starts taking common items from peoples' homes. 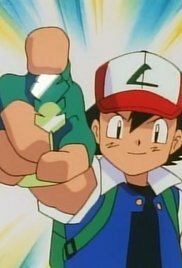 Ash's eighth badge is at hand. 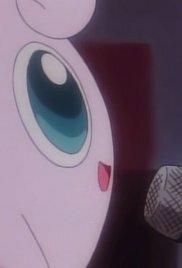 But he'll be surprised at who he has to battle. 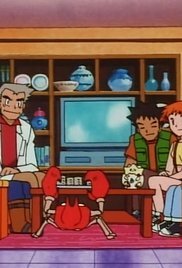 Ash, Brock and Misty try to get a Jynx back to it's trainer in the North Pole. 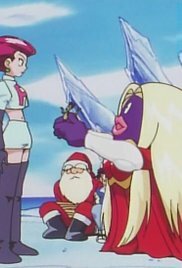 Meanwhile, Team Rocket try to capture the Jynx and steal all of the Christmas presents. 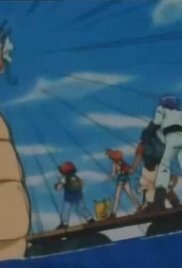 After choosing a direction at a fork in the road, Ash, Misty, and Brock find themselves up a mountain. 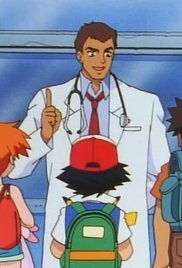 Ash and Garry meet at Prof. Oaks lab to compare who is the best Pokemon trainer. 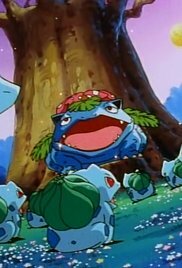 Ash mom and friends are going to go to Seafoam Islands. 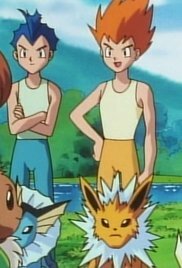 Misty and Brock are going to go surfing. 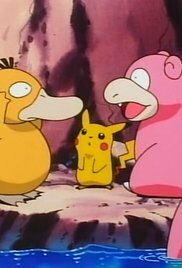 Ash goes to Oaks lab to discover that Oak is trying to find out why Slowpoke evolves into Slowbro. 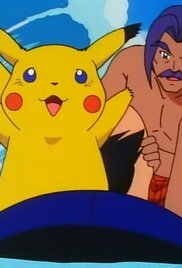 Ash spends the day surfing instead of training and is saved from drowning by a man named Victor and his Pikachu, Puka. 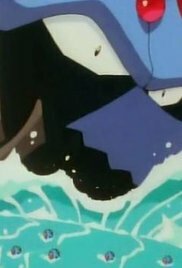 Victor is a surfer who wants to ride the great wave Humunga Dunga. 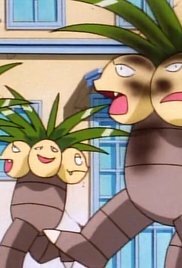 Ash and his friends go to the nearby greenhouse to get some flowers for his mom. While there, they meet Florinda and her Gloom. 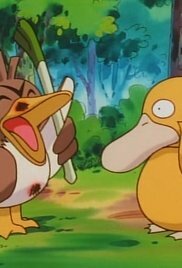 A big time movie director wants to make a movie with just PokÃ©mon and he wants Psyduck to be the star. 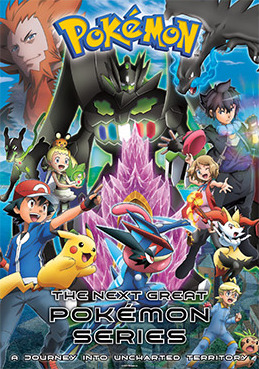 As the Pokemon League draws closer, Ash and the gang seek advice from Bruno, a member of the Elite Four. 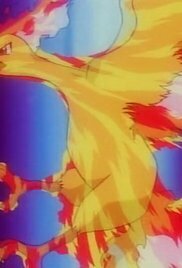 On there way to the Pokemon League, the gang volunteer to help carry the Pokemon League torch which is said to have come from the legendary bird, Moltres. 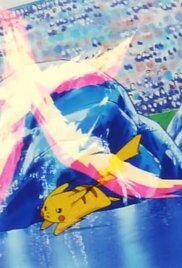 Ash's first Pokemon League battle is on the Water Field. 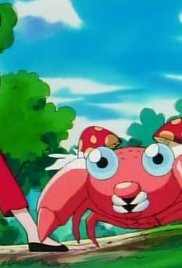 He decides to use Krabby for the first time. 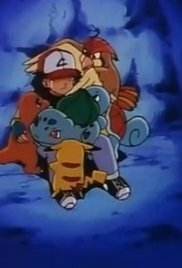 Ash wins his second match of the Pokemon League, but his Pokemon are becoming worn out. 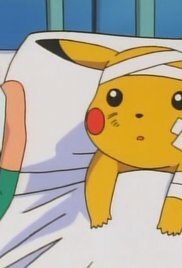 With all of the Pokemon Centers full, Ash needs to find a place to heal his Pokemon before the next match. Ash's fourth match is on the Grass Field. 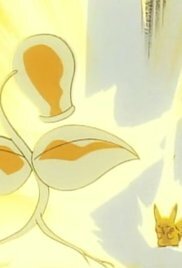 But his opponent has a well trained Bellsprout. 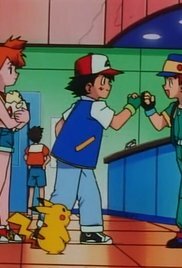 Ash makes a new friend, named Richie. 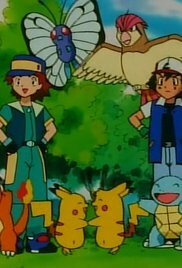 After Team Rocket steals the Pokemon from all of their trainers, Ash and Richie work together to get them back. 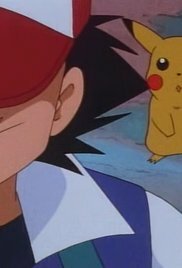 Ash must battle his new friend, Richie, if he wishes to move to the next step of the Pokemon League. 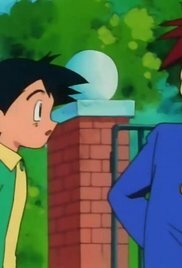 His loss against Richie is leaving Ash depressed. 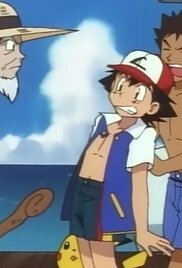 But after Richie loses his next battle, Ash learns that you need to learn from your mistakes to be a better trainer.